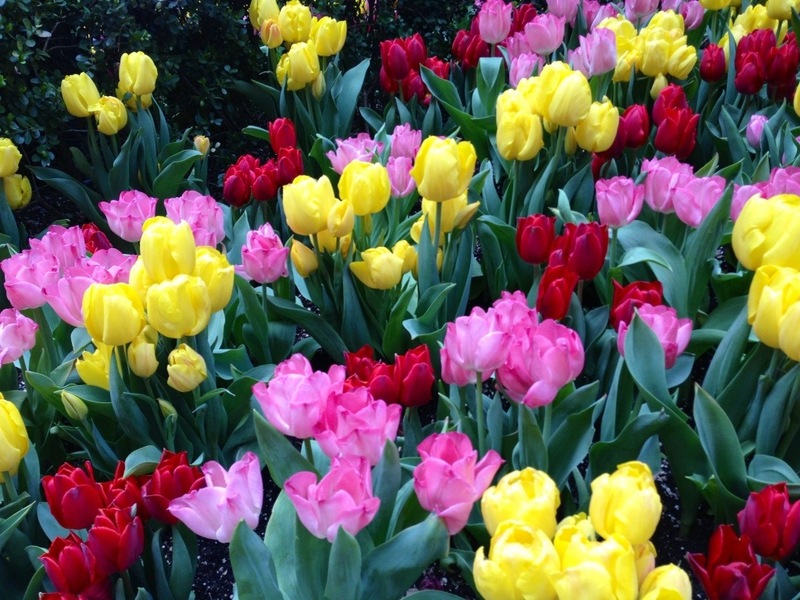 And every time I see tulips, that phrase from the song comes to mind … ‘Tip-toe through the tulips’. That’s the only line I know, but it’s become synonymous with these flowers. 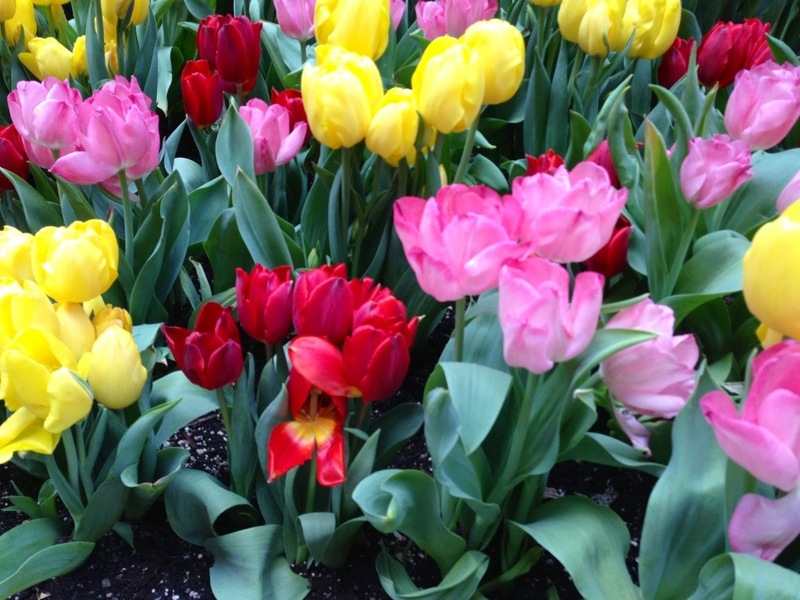 I’ve also seen more different coloured tulips this year. Not the traditional or more common colours that I usually associate with tulips. The weather is still cool, but spring is here. 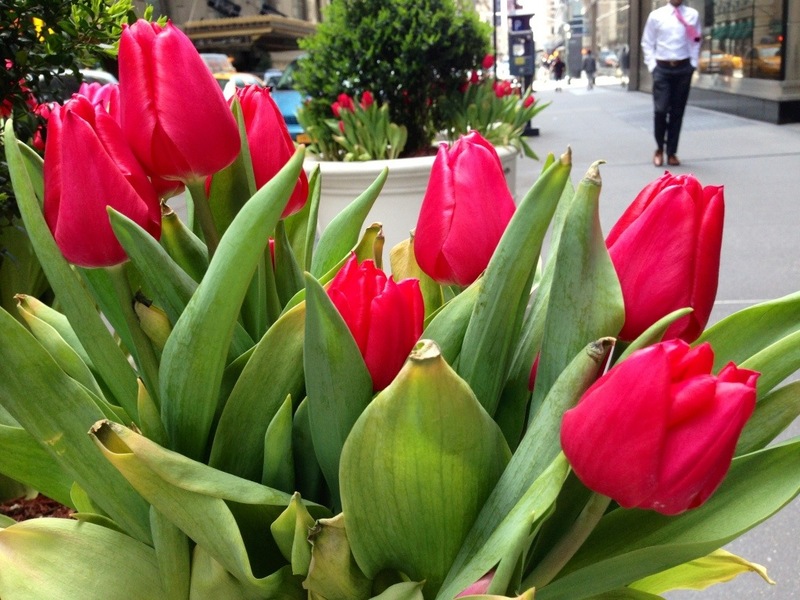 The tulips are out. Q – What a riot of color! Love it! My favorite flower! Thank you for sharing these gorgeous photos!